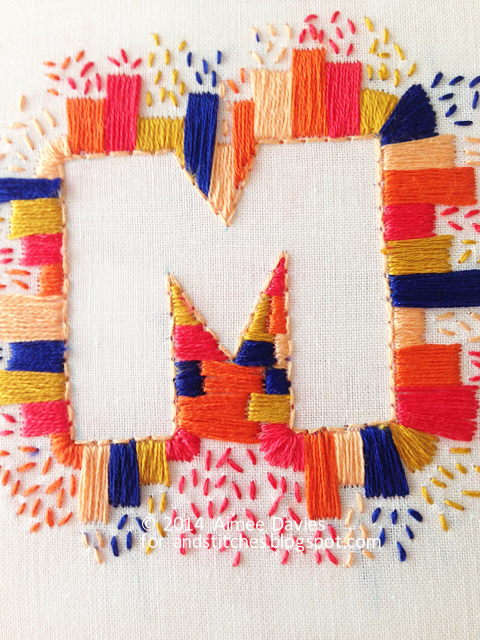 We are continuing this year's Summer Bloggin' series with a fun experiment in negative space stitching, brought to you by Aimee of daisyeyes. 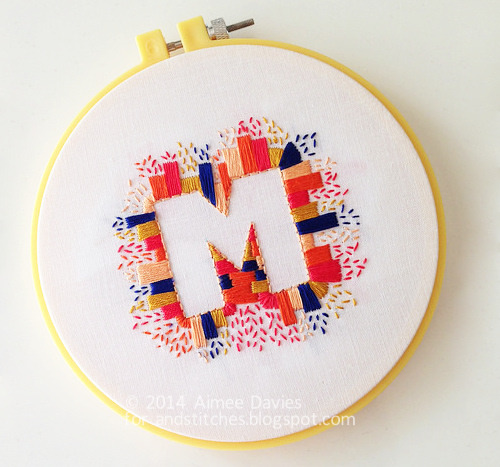 She's a prolific stitcher (follow Aimee on Instagram and you'll see it's true! ), especially when it comes to words and quotes. And be sure to check out her blog and shop! Lately, I have been experimenting with the idea of negative space embroidery. Negative space is stitching outside the area and leaving a blank space in the middle; essentially the opposite of filling in an area of stitching. It works for letters, numbers and even outlining shapes or other simple graphics. 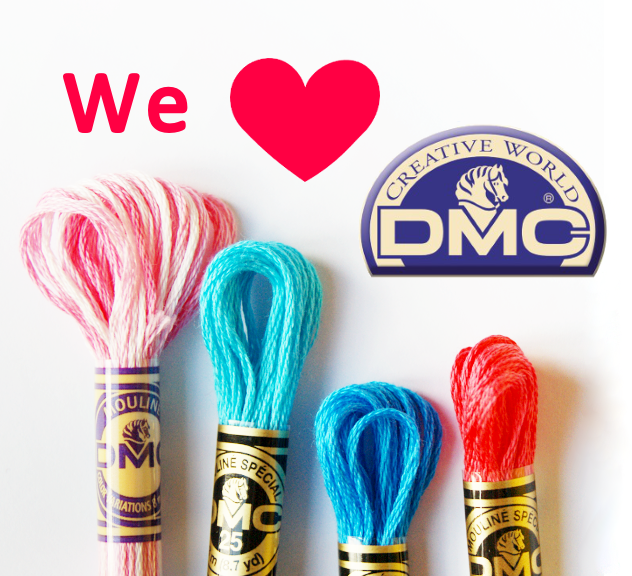 The trend in the stitching world is to use french knots, seed stitches or even lazy daisy flowers when working on a negative space project. After stitching up a french knot project and a lazy daisy project of my own, I wanted to try something new. 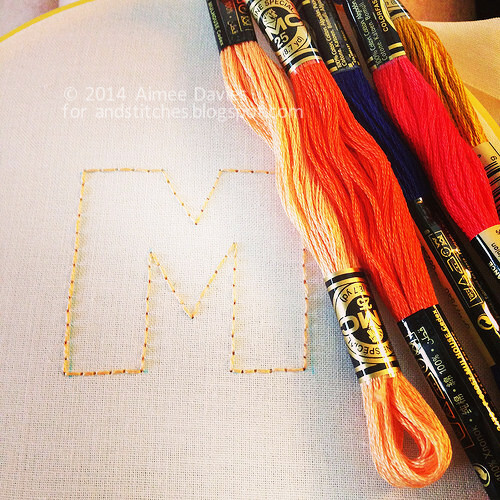 I decided to try out long and short satin stitch clusters to outline the letter M. A satin stitch is normally the go to stitch for filling in letters and other graphics, so I thought it would be fun to see how it works with outlining a letter. 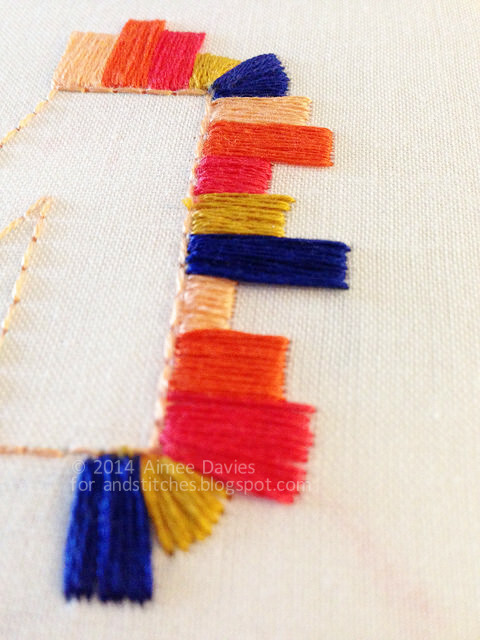 Satin stitch is a long straight stitch, stitched right up against the other stitches giving it the look of satin. In the two projects that I stitched previously, the first one I didn’t outline the letters at all and the second one I outlined them after I stitched all around them. This time I opted to outline the letter first. I have quickly learnt that outlining the letter first gives it more of a pop and also gives you a better guideline for your stitching. At first I wondered about making all the satin stitch clusters the same height, but I knew my perfectionistic tendencies would drive me batty trying to keep them all exactly the same, so I decided to vary the height. The hardest parts of this whole experiment were the middle parts of the M. On the bottom I ended up doing horizontal clusters and when I got to the top I tried vertical clusters. I’m really not sure what is best and in many ways I like the patchwork look of the horizontal clusters best. The corners were also a little tricky and for those I just flared out my satin stitch which made the corners look rounded. In the beginning I thought about just stitching up to the edges of each line and leaving the corners blank, but I think that wouldn’t have given me a sharp outline of the letter that I was going for. About half way through this project, I thought I would add some little seed stitches coming out from the top of the clusters to even out the colors all the way around. I love that little pop they give. Stitching a negative space project with french knots, seed stitches and even flowers can be a very time-consuming project. I loved this embroidery because it gave me the same awesome effect in much less time. Overall, it was a fun experiment and I am excited to try it again. 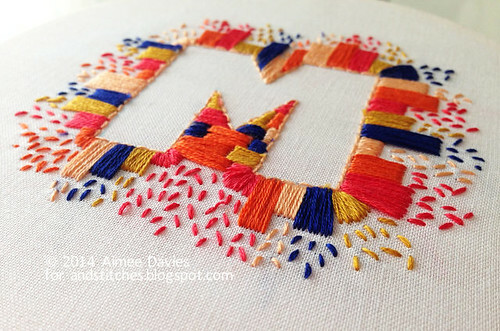 Have you tried negative space stitching? Do share it in the &Stitches Flickr group. We'd love to see it! that turned out great... :) i liked the addition of the seed stitches, makes it feel festive. I love this so, so much! The colors are fantastic and the satin and seed stitches work so well together!